Expert Sleepers has released a public beta of Augustus Loop v2.0 which is a major update to the tape echo/looping plug-in. 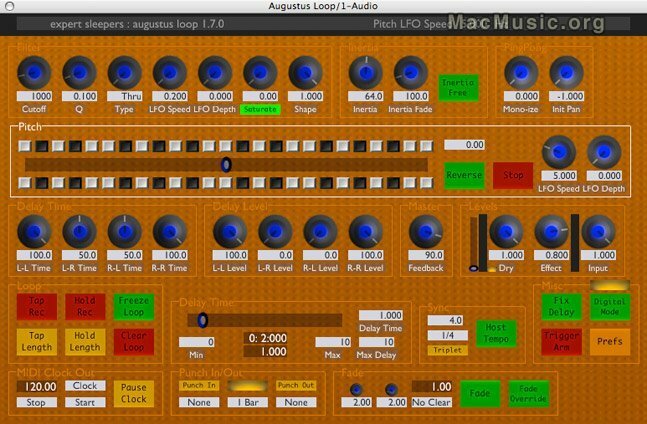 Augustus Loop v2.0 beta is available now for Mac (AU/VST) and PC (VST). Note that this version uses a new serial number from previous versions, so if you have a licence for v1.8 or earlier it won't work with v2, and the plug-in will operate in demo mode. It is not yet possible to purchase licenses for v2. To promote the new skinning & scripting features in Augustus Loop v2, Expert Sleepers are running a skinning competition, with free licenses to the new version as prizes. Please visit their website for more information.